Near Great Malvern, The Bank House is ideally located equidistance from Birmingham’s business heart and The Cotswold’s countryside; perfect for work and play. The Malvern View Spa offers Temple Spa treatments in rooms overlooking landscaped gardens and the Malvern Hills. Lounge by the indoor pool, relax in the thermal suite, sunbathe on the panoramic terrace or pamper in the Champagne nail bar and deluxe pedicure station. Malvern View Spa is within the red-brick façade of Bank House, a family-run hotel near Worcester with views over the Malvern Hills and surrounding countryside. The spa is fresh and modern with a well-priced and varied treatment menu. We sat in the Spa Café just next door to fill in our consultation forms and enjoy a refreshing mixed-berry smoothie to begin our spa day. The café is bright and cheerful with comfortable green, pink and purple seats. There's also a "detox station" where we helped ourselves to lemon water throughout the day to stay hydrated. The changing area is made up of two separate rooms. In the first, there are good-sized, modern, wooden-panelled lockers, matching benches and a private cubicle. A two-seater vanity unit has hairdryers, cotton wool, cleanser, toner and calming moisturiser. The second room has the loo and two showers containing Temple Spa shampoo, conditioner and shower gel. 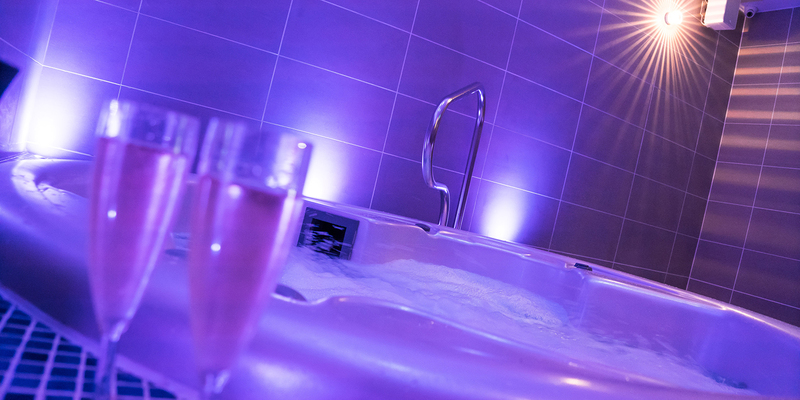 Malvern View Spa's thermal suite is smartly decked out in large grey tiles and colourful LED lights. We began our spa journey in the blue-tiled steam room. The L-shaped seat is great for warming up tired muscles but perhaps not as steamy as we would have liked. The icy-cold setting on the experience shower was the perfect way to cool off before moving on to the Jacuzzi, big enough for four. In its own little cubby hole within the thermal suite, the Jacuzzi area is an ideal retreat: we loved the bucket of lavender-scented face cloths within arm's reach. We dried off in the hot wooden sauna, its soft red lights creating a cosy feel. A highlight of the Malvern View Spa is undoubtedly the 10-metre swimming pool with 12 comfortable loungers stretching along one side. At the end of the pool are bi-fold doors, opening to reveal a sunny terrace. It reminded us of an infinity pool in some ways. Help yourself to a cup of cold water and a selection of magazines, or head outside and feel the warm sun on your face. There are blankets if you visit on a chilly day. The small relaxation area is used post-treatment. The room is decorated in warm browns and rich purples with three comfortable beds and candles burning on bedside tables. There are more product samples to try, too: we gave ourselves a spritz or two of the Temple Spa Quietude calming mist. Malvern View Spa also has a fully equipped gym and exercise studio. We had the Champagne and Truffles Deluxe treatment (90 minutes, £110) including a facial, and back, shoulder, neck and foot massage. My therapist, Clare, collected me from the sun terrace and led me to a clean, light treatment room. As it was a hot day, there was a fan on in the room to keep it a comfortable temperature. I settled face down on the treatment bed. Clare started by inviting me to inhale a eucalyptus aromatherapy oil before treating my lower legs and feet to an exfoliating massage with Temple Spa's Breakfast Smoothie. She removed the exfoliator with comforting hot towels. Next, Claire massaged my back with hot stones, working up towards my shoulders and neck. I was in heaven as she worked away all the knots. It was time to turn over and lie on my back for the facial part of my treatment. Clare cleansed my face, paying particular attention to my eyes, and applied the deliciously cool and thick Temple Spa Trufflesque mask. While the mask worked, she massaged the exfoliator into my arms and hands, then cleansed and soothed my skin with hot towels. Clare peeled off the mask and used cold stones to massage my face: they are said to improve muscle tone and reduce puffiness. She cleansed my skin again and applied finishing products, including an eye cream and lip balm. At the end of the treatment, Clare brought me a glass of cold water and talked about products that might benefit my skin. She took me through to the relaxation room where a surprise glass of champagne and a selection of truffles were waiting for me. My skin felt so smooth and refreshed, and my face was glowing, plumped and dewy. 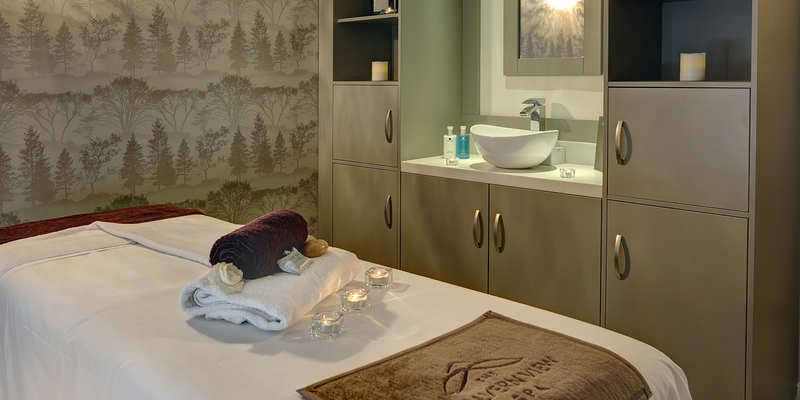 Malvern View Spa offers a full range of Temple Spa facials, body treatments and massages. You can add a menu of "sides" to your treatment, such as scalp massages and hand rituals. You can also choose manicures, pedicures and treatments for mums-to-be. Malvern View's Spa Café overlooks a terrace with views over the Malvern Hills. We lunched in our robes and enjoyed a simple and traditional club sandwich served with a small portion of vegetable crisps. Salads and heartier meat and fish dishes are also on the menu. Vegetarian options are available. If you have specific dietary needs, it would be wise to tell the spa in advance. Dinner is served in the hotel restaurant, the newly refurbished Pear Tree Room. The wooden tables, with fresh flowers, the spotlighting and jewel-coloured seats in green, purple, red and yellow create a stylish atmosphere. It is only letdown by the fact that the restaurant overlooks the car park (a shame for a hotel in the countryside) and the menu is slightly over-fussy, focusing on game, steak and seafood. The pool room and sun terrace: The bi-fold doors at the end of the pool area bring the outside in. It's great being able to swim towards the view. On a hot day, reclining on the loungers out on the terrace, with a smoothie in hand, has a real holiday-abroad-vibe. The customer service: It was flawless. There was always someone on hand to answer questions, offer refreshments and make recommendations, without being intrusive. It was all very discreet but professional and friendly. The spa suites are an excellent addition to the hotel's accommodation: they're nicely furnished and close to the spa. The showers and loos being in a separate room to the changing rooms felt a bit disjointed. The food was a little hit and miss. We saw solo spa-goers, pairs of friends and mother-and-daughter duos all enjoying the Malvern View Spa on our visit. Mums-to-be will love the range of dedicated treatments on offer. The Bank House Hotel is well located for day-spa guests coming from nearby Birmingham, Bristol and Cardiff. Shopping and spa, anyone? We awarded Malvern View Spa a Good Spa Guide Rating of 4 Bubbles. The pool area has the wow factor, and the spa is fresh, modern and immaculate. The well-kept grounds make for a perfect outdoor relaxation area on a sunny day, and the staff are friendly and always on hand. The spa feels completely separate from the hotel, and like a real get-away. We loved our treatment, too. Super Spy visited in July 2018 and awarded it 4 Bubbles. "Love place to go and relax. " 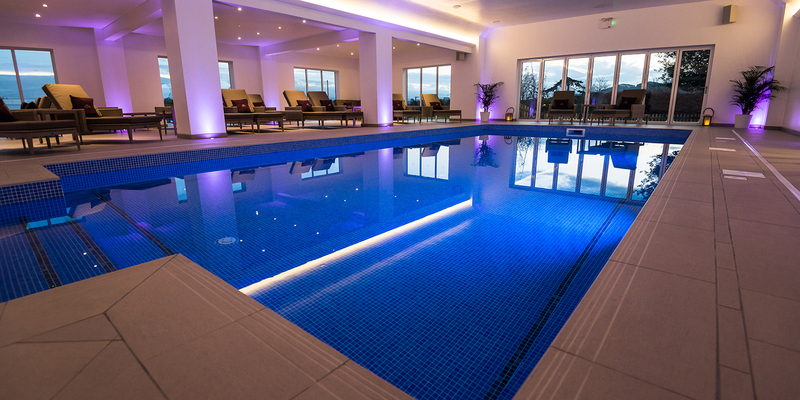 "Superb new spa and swimming pool, always spotlessly clean. The whole spa team, from the manager, receptionists and therapists, are without exception, very welcoming, friendly and professional. The therapists work pure magic! I enjoyed Malvern View Spa so much that I became a member !" "Excellent spa and facilities and good value for money!" With its bespoke mix of modern and classical decor, the Pear Tree restaurant is a relaxing and enjoyable place to indulge in a delicious meal. Sunday Lunch and Afternoon Tea available. For a more relaxed affair, visit the Sportsman’s Bar & Terrace. Open for service seven days a week and dishing up delicious delights from the main menu between 12–3pm and from 6–9pm, you are always welcome in our dining room with a difference. There are room options to suit every need, from lavish suites to family bedrooms.